Seaford Town Council is looking for the next generation of golfers to join its beautiful Seaford Head Golf Course with its state of the art clubhouse. For 11 year olds and under membership is now free and ages 12-17 only £47.25. Parents and Grandparents are encouraged to bring their youngsters to the golf course and get them into the game. Shortened tees will see the “junior course” measure under 2000 yards making it easier for the smaller children to enjoy while still playing on the grown ups course. The only restrictions on this offer are that all the juniors are accompanied by an adult, who doesn’t have to be a member, and that they have at least an iron and a putter; both of which are available to buy in the Professional Shop on site. “This is the first step to get kids into this great game and out in the fresh air, participation in junior golf has slowly declined and we need to do something to halt that trend. 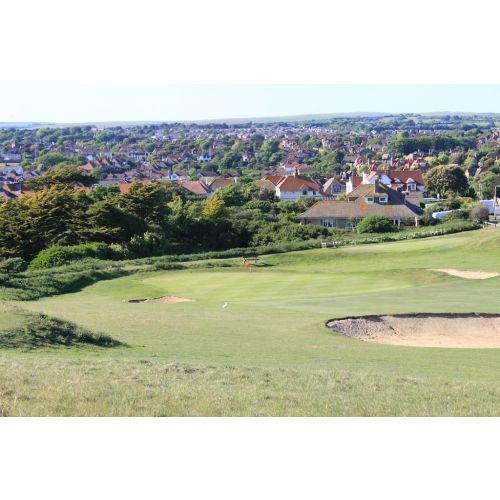 Our team here is dedicated to getting a vibrant junior section at Seaford Head Golf Course again.” – Fraser Morley, PGA Director of Golf SHGC.